If you know anything about Young Thug, you’re probably aware that the rollouts leading up to his projects are not exactly regarded as good. He sometimes has bold tactics for the press, including things such as sending live snakes before the release of Slime Language. But in general, his label isn’t the best at promoting his upcoming projects. This is evident by the fact that we didn’t see any promotion for On The Rvn besides a couple social media posts prior to the release. 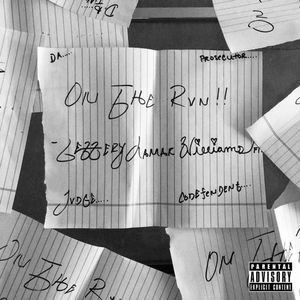 Young Thug released On The Rvn on Monday at midnight. This is a bit odd considering that most projects are released on Fridays to maximize streaming numbers. This is his third project of 2018, following the 3 track Hear No Evil EP and full-length album Slime Language. The project was supposed to drop on the 11th, but didn’t end up getting released until the 24th. Because this is only an EP, it’ll only give us a small taste, nevertheless, let’s dig in. On my first listen through this EP, I’m impressed with what Thug has for us. He goes back to his roots a bit on this project and I absolutely love it. We finally got some more glorious London On Da Track beats on a Thug project. The only negative I see so far is that we saw nothing new on this project. He went back to his old flow, which isn’t exactly the worst thing for a shorter project like this. After taking a slight break from his usual flow on Slime Language, Thug is back on what made him stand out in the first place. The lyrics are typical subjects that he has rapped about before, so nothing really special in that regard. One thing that really stands out thus far are the beautiful melodies on some tracks. I’m glad that he’s started to incorporate them in his music during recent years. The best thing about EPs is their length. This project comes in at 6 tracks that span 21 minutes. There are different sounds, flows, and stellar features, making this project one that you can listen through multiple times. While I wish that we got more Young Thug, it is honestly a perfect length EP. I truly like every single track on this EP, but the songs you definitely need to hear are “On The Run”, “Sin”, and “High”. Young Thug’s music output in 2018 hasn’t impressed me much up to this point. I say that as someone who thinks that Beautiful Thugger Girls is one of the best albums of 2017. I liked Hear No Evil and Slime Language was alright, but neither of them did what I was hoping Thug would do: build on the new sound he brought out on BTG. On The Rvn does exactly that. We get street Thug, melodic Thug, and even a bit of singing all in a short-but-sweet package. It isn’t perfect by any means, but I think this is the direction that Young Thug should continue to explore. It results in some amazing music that will be replayed countless times by his fans. I’d recommend taking a listen to On The Rvn if you’re already a Young Thug fan or if you’re trying to get into his music. It’s only 21 minutes and it allows you to hear some of the things he does best. This is a solid EP and it deserves to be heard by the hip hop community.